I'm going to keep it short and sweet here, there are two lists I really think of when it comes to albums, The best and the most disappointing. Here is why, now the best albums is what everyone always wants to talk about, the validation of your fandom rests on how your favorite artist ranks among the best of the year. We seem to be so invested in this one aspect, and hell we all like titles. There is no bigger one than anything that says album of the year. On the other end my favorite is the most disappointing award and that's not because I like to be negative, but to be real and let folks know what we kind of were looking forward to that let us down. Sometimes it isn't that it's a bad album at all, but that it doesn't blow us away like we want us to or it is overall lacking in some way. At the end of the day I feel like it's just as important to be critical in areas where we are let down as those which we love so that true growth and improvement can happen. With all that said, let's look at the contenders. Wale- The Album About Nothing - Wale is one of the most eclectic artists you will find who is candid about his assorted likes from sneaker culture to wrestling, the streets of DC, multiple kinds of music, and Seinfeld to which this album's theme was centered around. The album while sort of one note still was more than solid and produced two singles yet wasn't so corny that it got tiresome. Dr. Dre - Compton - Compton isn't Detox but honestly who really cares? If you're still waiting on that you need to grow up and get over it. Instead, we got an album that was very cohesive, thematic, and had the great signature Dre production sound with new aggressive writing just in time for the hit biopic of Dre's NWA years. This album was the perfect lead in for both the movie and the Beats Music service. With an updated West Coast sound, Dre proved he still had the ability to make great compositions. Kendrick Lamar - To Pimp a Butterfly - TPAB was one of the most controversial albums just because of it's construction. More Art project extensions of Good Kid MAAD City, it was a critical success even though there was only one single from the album. However it wasn't a perfect album as Compton would kind of prove when it dropped. There is a way to make an album that is thematic yet accessible which this album from Kendrick isn't quite in that arena. 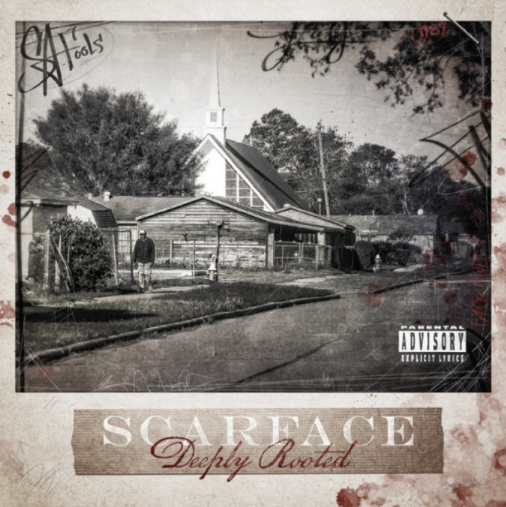 Scarface - Deeply Rooted- Face came back with a vengeance with this album which came on the heels of the release of his autobiography. His most complete album since "The Fix" Scarface put together a great collection of solid tales about the street and his own career and life. While it wasn't groundbreaking new material it was still a great album with great imagery and above average lyrics. At the end of the day, for my buck, the Album of The Year does end up going to the DC hero Wale. Of all of the albums to release this year, this is the only one I have to continue to go back to. The other albums on this list are worthy in my mind of being considered great but none strike a chord with me nor had what I consider the combination of lyrics, accessibility, content and still marketability as Wale put together. Over his career with 4 albums under his belt, they might be the most consistent first 4 albums in rap.